There’s been a lot of tasty holiday recipes this week! 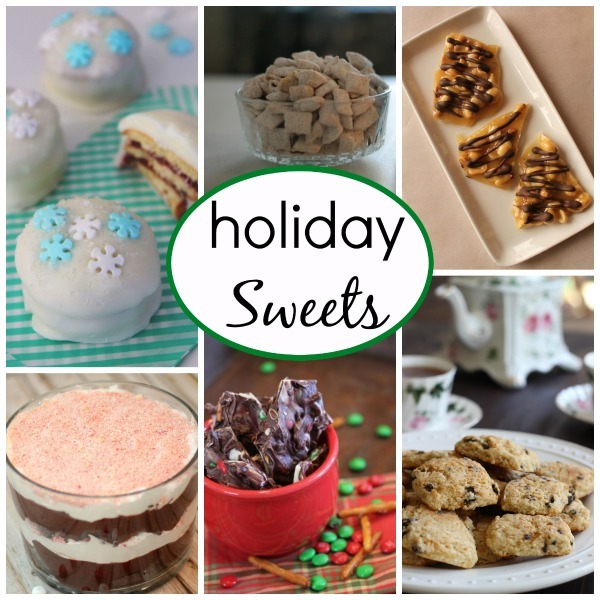 First, the OREO Cookie Balls Christmas Tree, then some ginger snap cookies (+ over 40 more cookie exchange recipe ideas) and now today I’ve teamed up with another great group of bloggers again to bring you more holiday sweets and some tasty savory eats! Basically, we’ve just got a whole bunch of deliciousness going on! 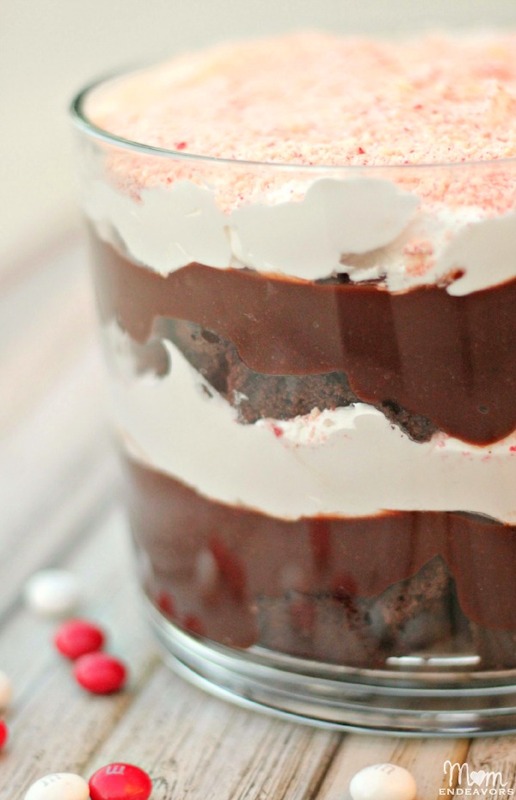 For my part, I’m sharing holiday sweet treat that peppermint fans are sure to love as this chocolate peppermint brownie dessert trifle is SO good! This dessert is SO easy to put together. You’ll need your favorite brownie recipe, a large box of instant chocolate pudding, Cool Whip, and peppermint candies. Bake the brownies according to the recipe (or box directions). But, make them peppermint brownies by adding in some crushed candy canes! While the brownies bake, whip up the pudding. 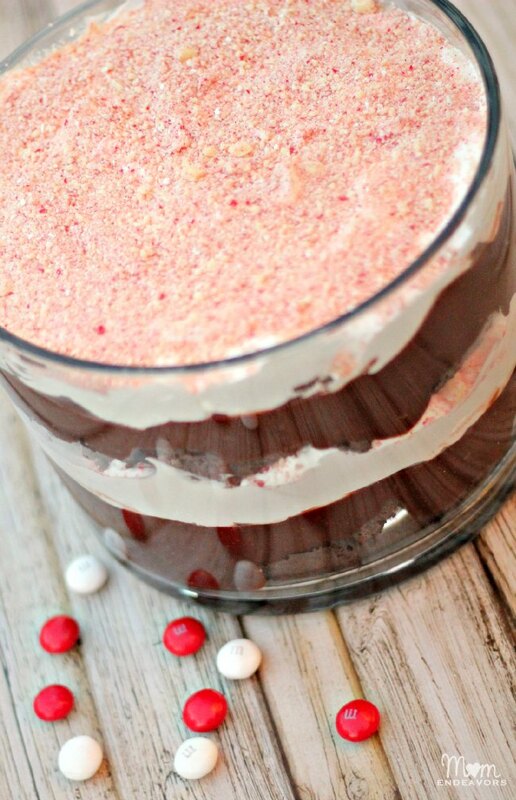 For added peppermint flavor, mix in some finely crushed candy canes into the pudding as well. Once the brownies come out of the oven, let cool then cut into bite-sized chunks. In the bottom of a trifle dish, layer with brownies, then pudding, then Cool Whip. For even more peppermint flavor, top with crushed peppermint candy. My personal favorite peppermint candy right now are the White Chocolate Peppermint M&M’s! Seriously SO good! Repeat the layers and top with a layer of crushed peppermint candy (any will do, but I opted for the M&M’s). YUM! Easy to make and SO SO good! And speaking of so good, there are a whole list of delicious recipe options below. 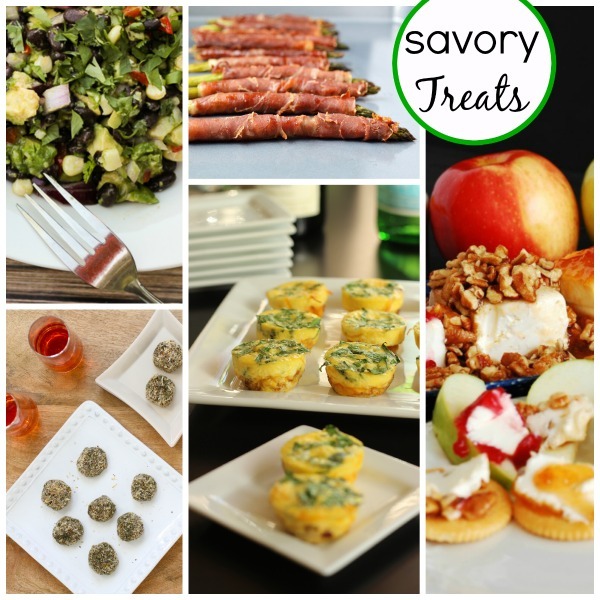 Whether you need some sweet holiday treats or savory appetizer/meal ideas for your holiday parties, you’re sure to find something to check out from the list below! ENJOY! Yum, right?! Which recipe would you like to try first? I LOVE Chocholate and mint together. Will just have to try! YUMMMM! This looks super festive, delicious and easy to make. I think you’ve hit the Christmas party food trifecta! 🙂 Thanks for sharing. Trifles are one of my favorite desserts to make for serving a crowd or to take to a potluck. 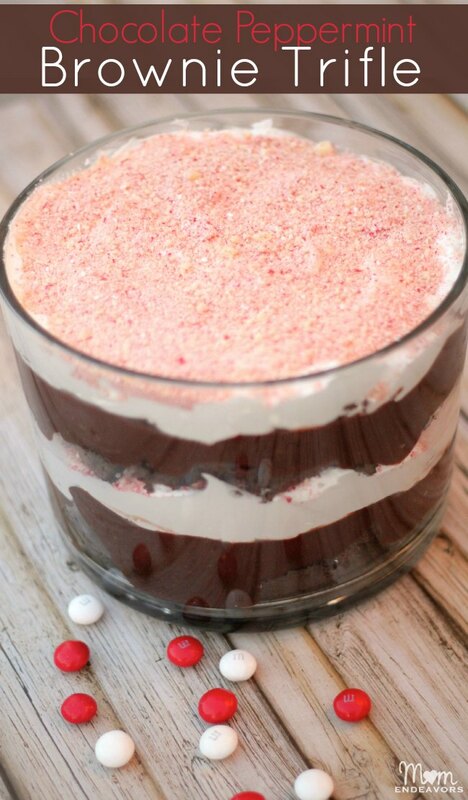 I have made a basic brownie trifle, but never added peppermint. I love the idea because it is perfect for the holidays! Thanks for sharing it. I am making this, but I don’t have a trifle dish. Is there something else I could use? Any dish you’d like really – the deeper the better!